There’s a lot of how-to step by step guides online, for building pretty much anything. But somehow Tampon Crafts has found a gap in the market… sorry. 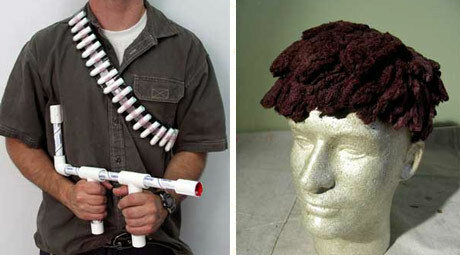 My favourites are the tampon blowgun & tampon toupee pictured. Asi where do you find this stuff? Mar 26	This entry was posted in Bizarre, Funny, Handmade by cookie. Bookmark the permalink.